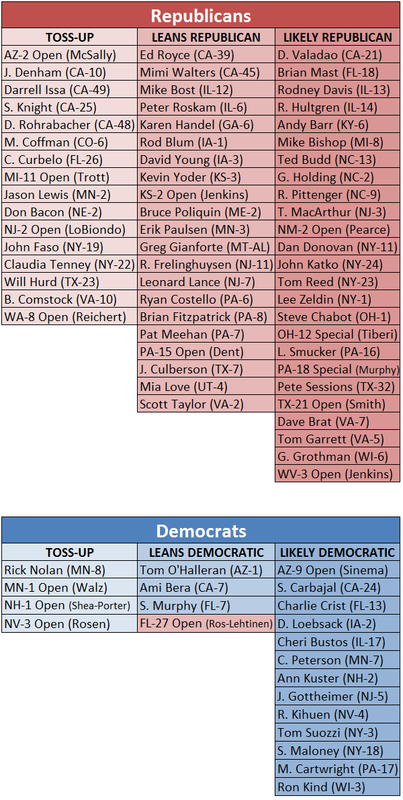 — Generic ballot polls asking voters which party they plan to support in their local House race (or which party they want to win control of the House next year) have consistently shown healthy Democratic leads, and polling averages place the Democratic advantage at around seven to 10 points. 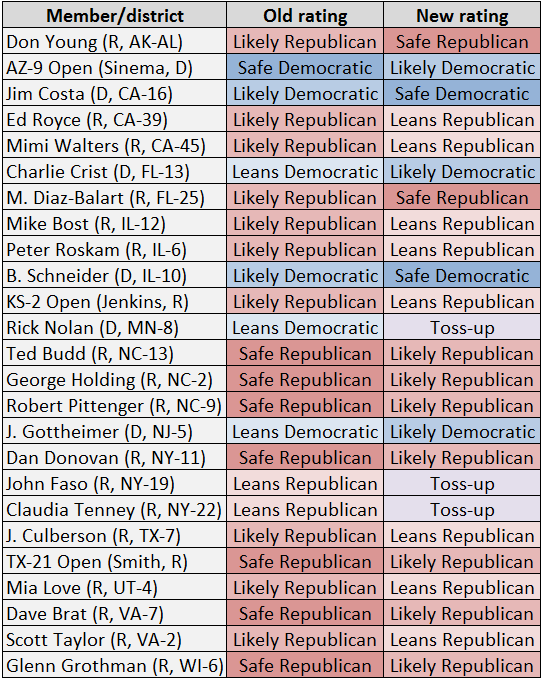 That’s around where Alan Abramowitz’s House projection model suggests Democrats need to be around Labor Day next year to feel good about a House takeover. Yes, there is time for the Republicans to improve on their deficit, but there are a couple of reasons to be skeptical that the GOP can cut into this Democratic lead significantly. The first is that, according to research by FiveThirtyEight’s Harry Enten, early generic ballot polling can be quite predictive, and the second is that, according to the Weekly Standard’s David Byler, the president’s low approval rating may impose something of a cap on the GOP standing in the House generic ballot.